Native Americans occupied this area long before it was a park. In 1840, and in retaliation for the Council House Fight, the Comanche raided home­steads in the Guadalupe River valley and south to Mata­gor­da Bay before retreating. A volunteer army of Texans overtook the Indians near the present town of Lockhart. The famous “Battle of Plum Creek” took place just a few miles north of the park, and the Texans pushed the Comanche northwestward. Once safe for settlers, the area held agri­cul­tural promise. The land’s creeks, grasses and soils invited those who settled in nearby communities to take up small-scale ranching during the late 19th and early 20th centuries. During the Great Depression of the 1930s, local leaders sought to take advantage of the New Deal work programs. They suc­cess­fully brought Civilian Conservation Corps Company 3803 to build a park at Lockhart. Local residents had long used the chosen site for recreation. CCC enrollees began work in 1935 and completed most of the park’s buildings and improvements. 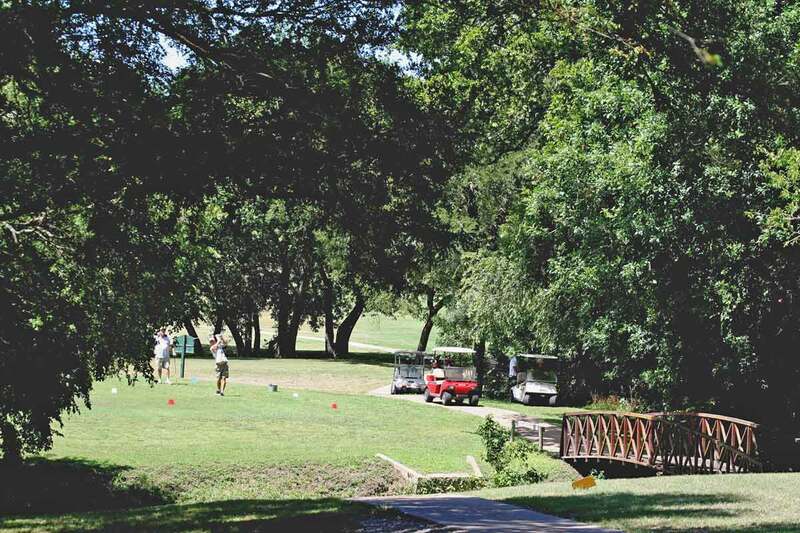 Workers from an­oth­er federal program, the Works Progress Administration, joined in to con­struct the nine-hole golf course. Look around the park during your visit; you can still see much of their legacy. 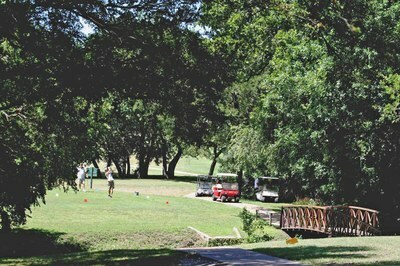 A group hall with an outdoor dance pavilion over­looks the golf course and the broad valley of Plum Creek. A stone water tower and picnic tables offer expansive views. Look for stone vehicle and foot bridges throughout the park. 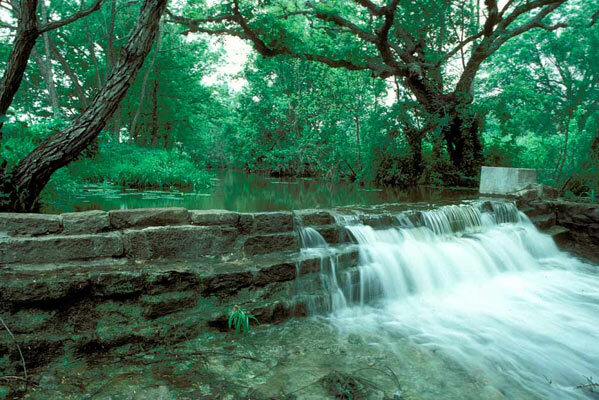 Learn more about this park’s con­struc­tion at The Look of Nature: Lockhart. Get more information on the Civilian Conservation Corps, which helped develop this park and numerous others more than 80 years ago.